Happy Weekend Everybody! I'll be entering a new chapter of my life soon - starting out full time work next week it may mean less reviews and posts! :'( But i definitely won't be abandoning my blog, it doesn't even matter whether there are actual readers or not...I think it's more of a hobby and a way to express myself. Now, on to the review! Recently, i have re-organised my small make-up bag which i put in my handbag for daily/on-the-run use..and this product is one of the new products i put in there. TA-DAH! 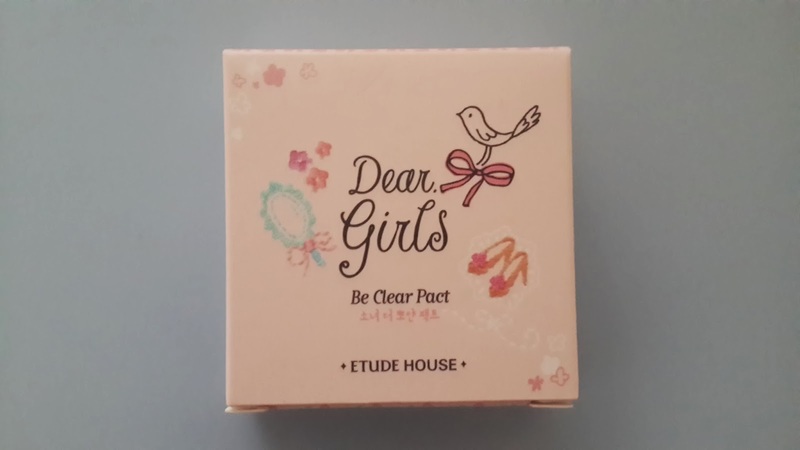 It's the Etude House Dear Girls Be Clear Pact! 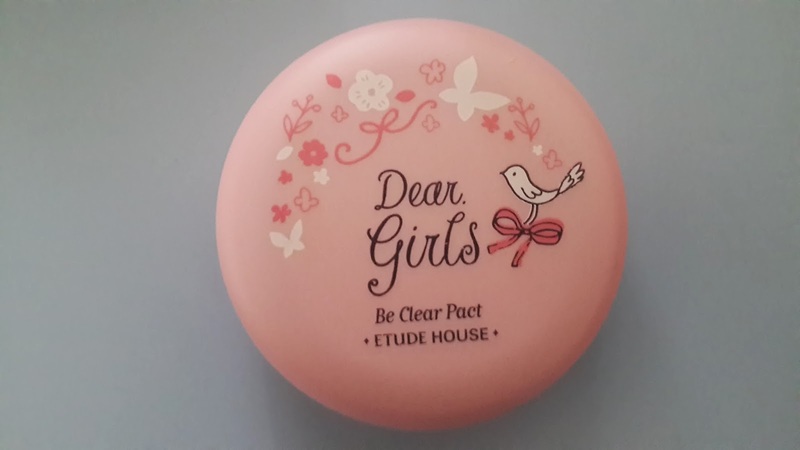 This Be Clear Pact is 1 out of 2 compact powders in the 'Dear Girls' product line. The Dear Girls Oil Control Pact is also available for those who want to focus on controlling the amount of oil on your face by blotting it away and keeping your skin shine-free. Meanwhile, this Be Clear pact aims to put a softening touch to your face to provide a "smooth, natural and healthy-looking skin", while clearing your skin of any impurities - marks, acne, acne scarring. It says it can cover up pores and "contains 5-vitamin extract and 7-organic extract (1,000 mg) to create healthy skin." The packaging is great, small enough to put in the size of your palm, easy to hold circular shape and honestly, it's very very cute! 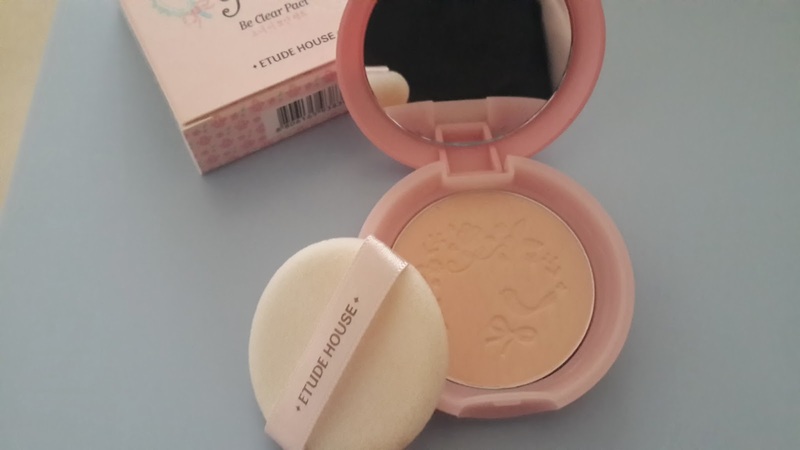 It comes with a small cotton pad, mirror and floral pattern pressed on the powder. 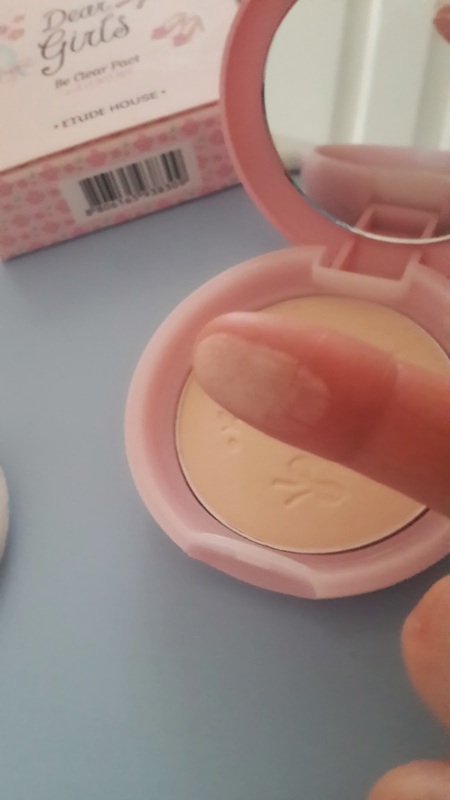 The powder is very light and soft. Definitely not too heavy for your face, i think it's great for a touch up to your make up when you're out. However, because it's so light - it doesn't provide much coverage. I think the product is great for younger girls in their early teens as it's quite light. I also think the product provides a small amount of shimmer, but it's so light that it's too hard to notice. Will i purchase again: The pros are definitely compact, great for travel, good for touching up. However, the cons is that it is quite light and i'm wanting something with a little more coverage and difference when applied to my skin. I think i will continue using it as a compact powder i can take anywhere, but won't be purchasing this product again. [HAULS] K-mart Aus now stock ELF Cosmetics!